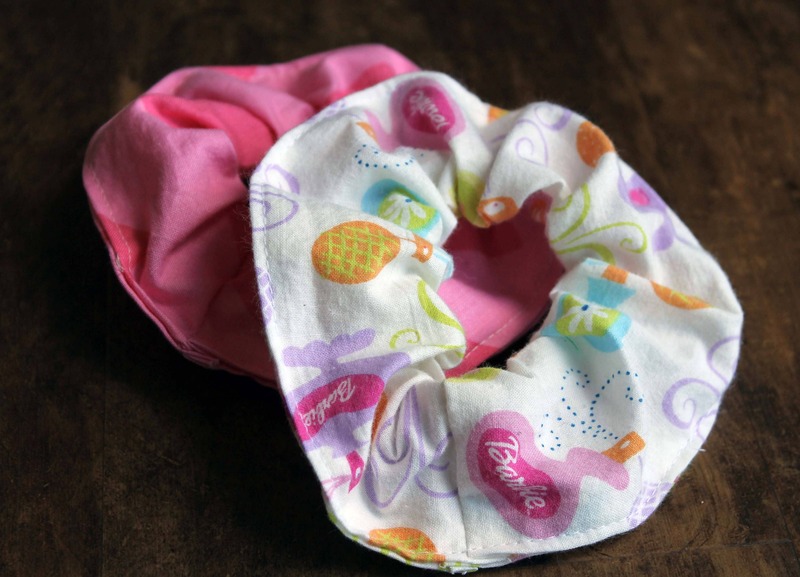 Show off your love of Barbie with this fun hair scrunchy set. 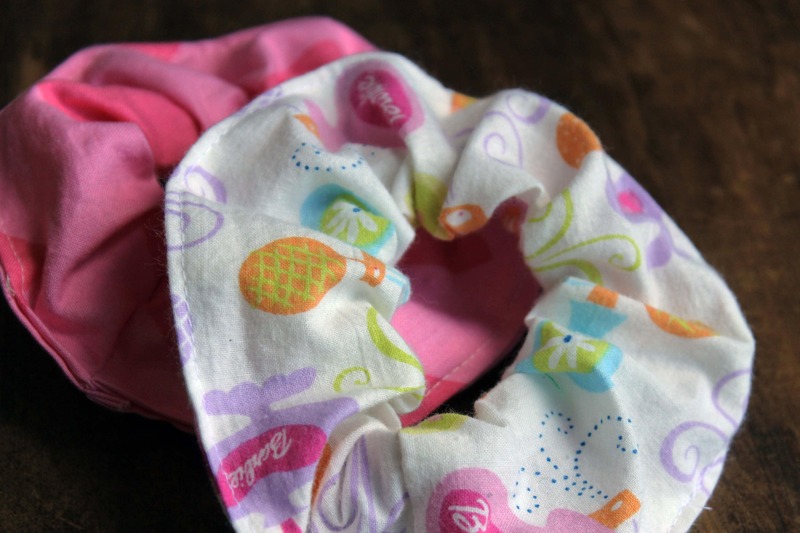 This set include (2) coordinating scrunchies. One is white and features a pink Barbie print. The second is a coordinating bright pink pattern. Made from upcycled fabrics, perfect for eco-conscious shopper.